She is an elite athlete, 6th Dan, a Podiatrist, devoted about helping and healing people, a perfectionist and passionate about her karate. She also had the honour and privilege to grade in Japan. 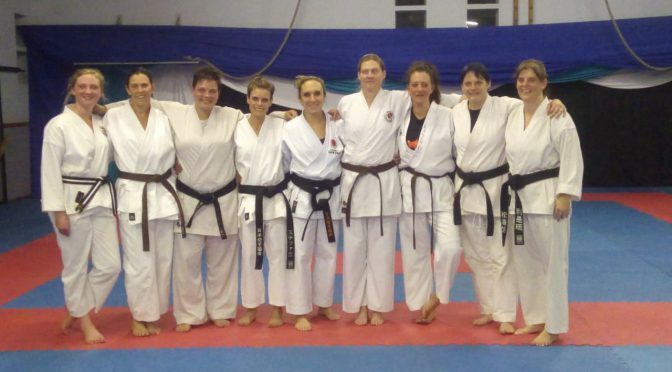 Solis Ortus had the pleasure to train with Sensei Marina in the beginning of August. Her focus was plyometric drills, strength, endurance, muscle fatigue, legs and speed. Muscle fatigue is mostly our enemy. She focused on low stances and how to overcome weaknesses and replace it with endurance. Her philosophy is not to give up when your legs are tired but to overcome it with endurance and built strength into your legs. She cleverly combined plyometric and kata training to build strength and speed. Most of her techniques were built around Empi. 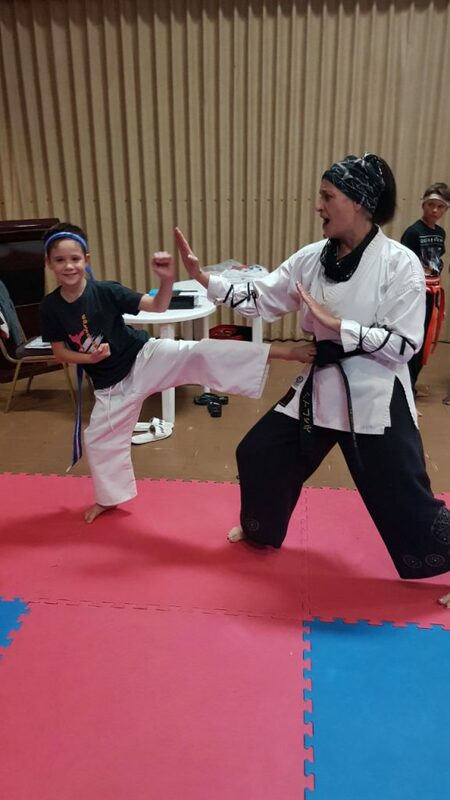 Because her passion resides more to kata, she especially helped the older generation to improve their way of applying their kata with more meaning. She indicated that if you are not fast, at least do your kata with feeling….fast is fast and slow is slow…do not rush. Her patient, methodical, helpful way of teaching was an inspiration to improve ourselves in our karate journey. Class was hard and we definitely received a full body workout. 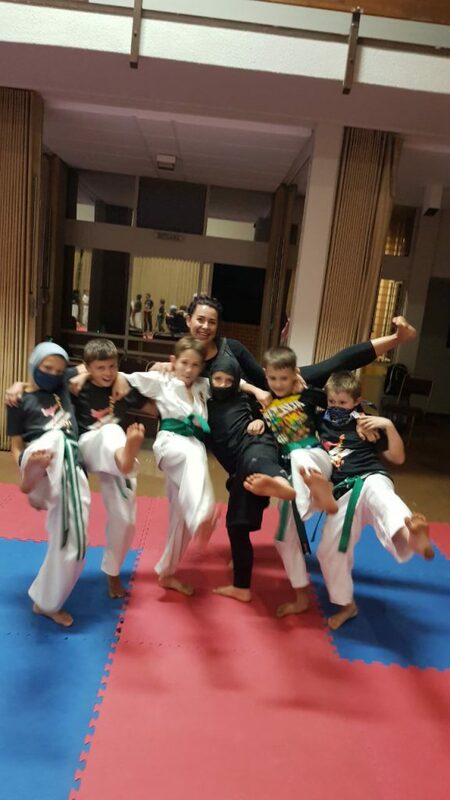 Our senior class really appreciated and enjoyed a well-planned, hard class with Sensei Marina and we look forward to inviting her for another training session. 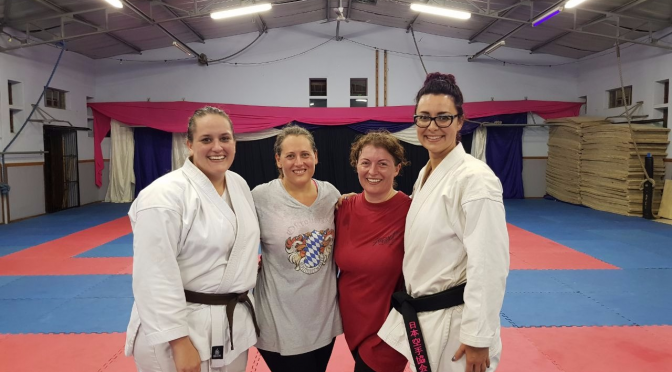 She admired Sensei Eugene as a top athlete and as an enthusiastic instructor; and complemented Solis Ortus as a well-organised dojo with good vibes. 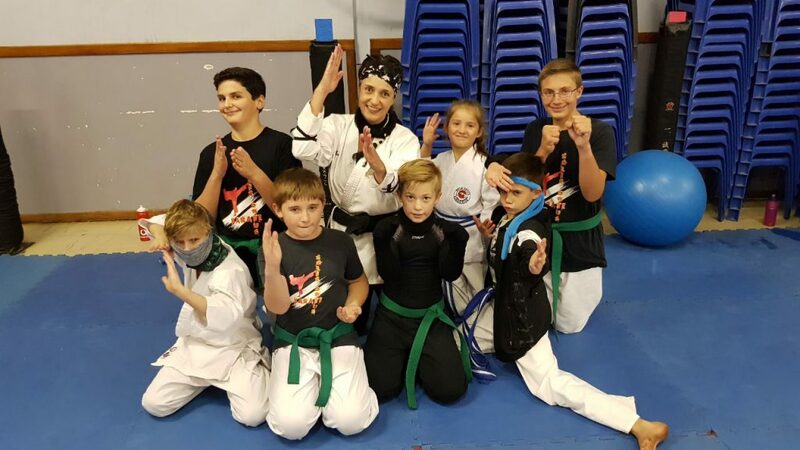 We, as Solis Ortus karatekas, want to thank Sensei Marina for her dedication and contagious love for karate, and the honour to have trained with her. Thank you to Sensei Eugene for the opportunity to train with such incredible senseis. Kids are blessings, they are our future and everyone have unconditional love for kids because of their innocence and cuteness. All this is so true in our dojo. They are tomorrow’s treasures. Solis Ortus parents are the greatest. As we all know, children are great imitators, so give them something to imitate. Last night roles changed. 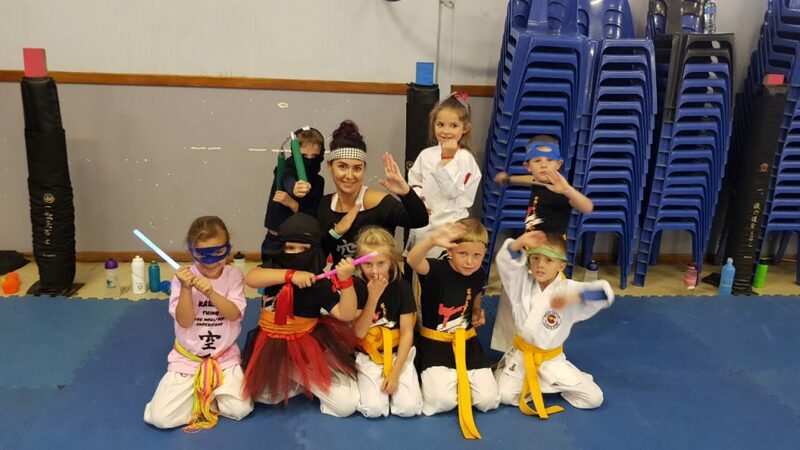 Solis Ortus hosted a fun training session where kids invited their parents to train with them from the minis up to our senior belt group. How great is that! 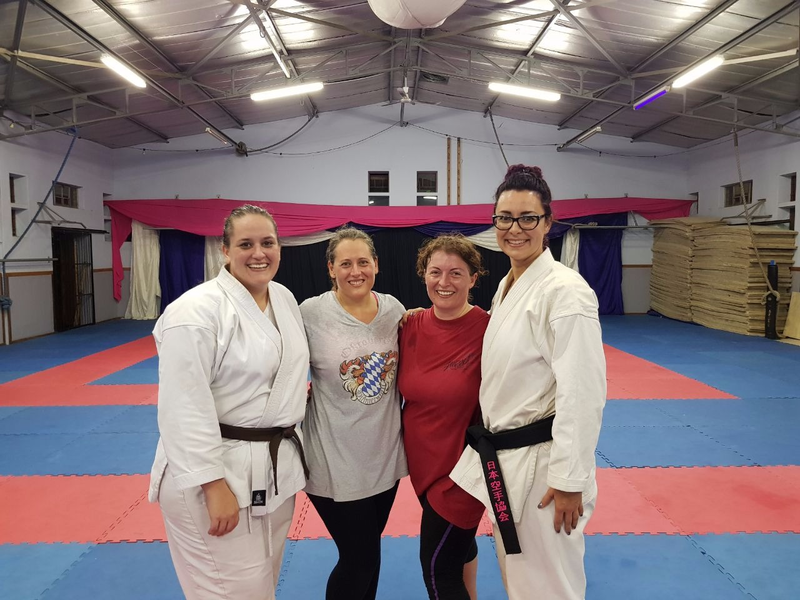 The atmosphere in the dojo was vibrant, full of joy and laughter. Both parents and kids had so much fun. It was so precious to experience the little ones trying to tell mom or dad how to stand, how to oss and of course to kiai. It’s adorable to see the unconditional love between parents and their kids. 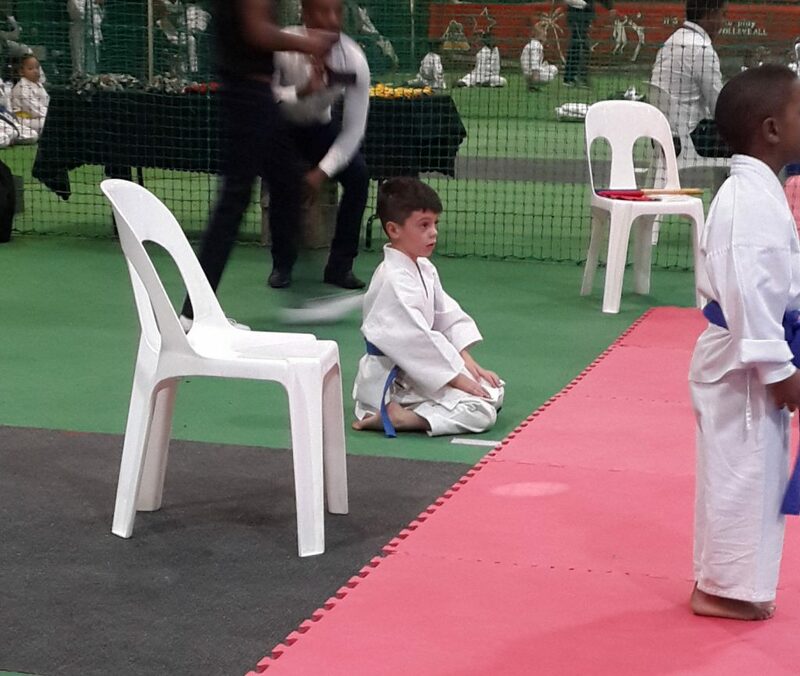 To experience how obedient the parent is in their kid’s territory and of course to the sensei. Precious moments! Today we are living in the fast lane and this opportunity formed new memories and bonds of love, mutual respect and most of all positive involvement and time invested in their lives. Times like this are the ultimate joy of play in a child’s life. Solis Ortus will definitely repeat this successful event in future. 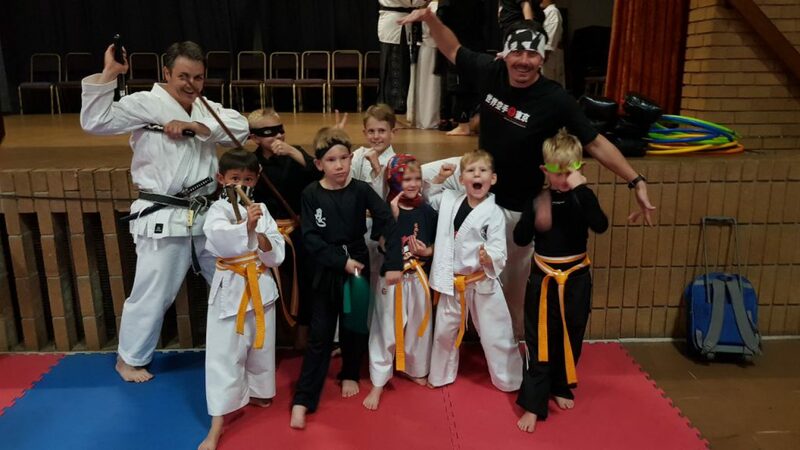 Both parents, kids and instructors enjoyed it immensely. We all trained hard, built positive new memories and shared with our children what they enjoy. We salute all our brave parents who joined us, and invite all other parents who missed out to watch this space and join us next time. 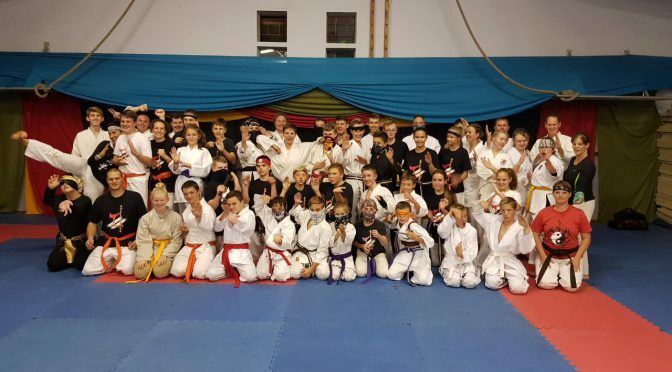 Congratulations to all our karatekas who graded this weekend. 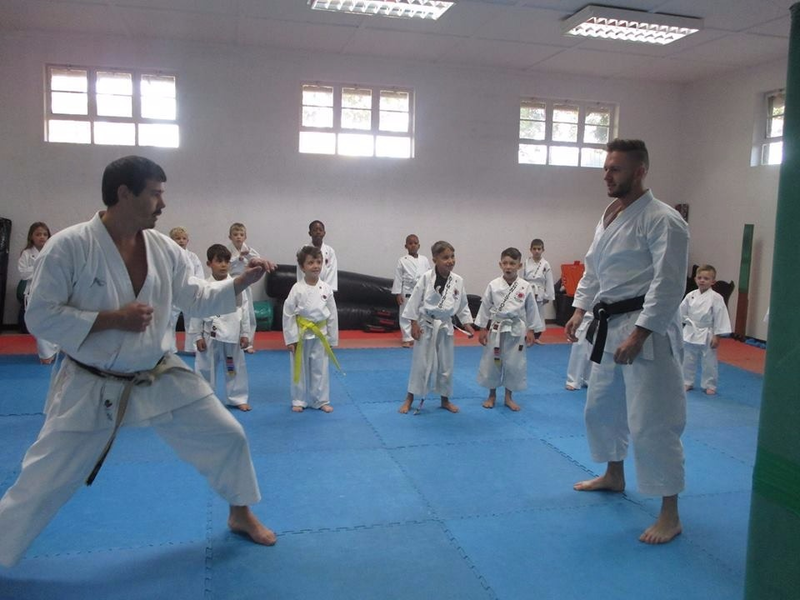 It is extremely rewarding to see how our karatekas improved and succeeded to their next belt level. Our karate standard is high and Solis Ortus stand proud to each and every one of you. 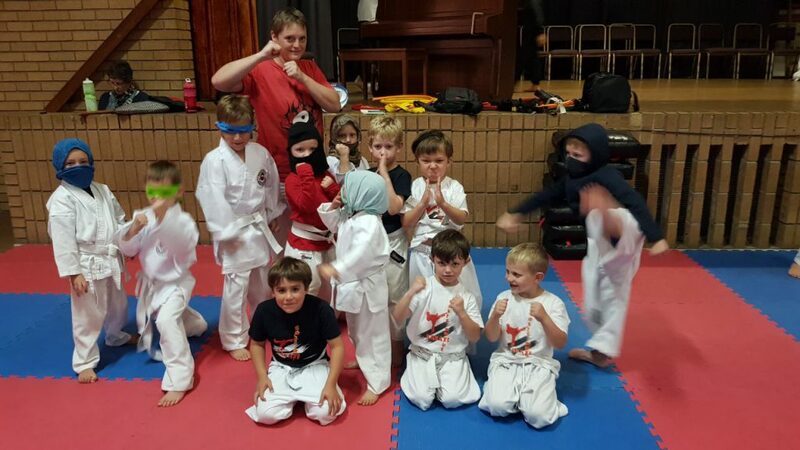 Traditionally we always start with our mini karatekas. All dressed up like little polar bears they arrived bright and early to come and show their skills to our grading panel. Adorable, sweet and with great spirit they concurred their fundamental skills examination with loud kiais and immense pride. Well done to our future little champions, we are so proud of you! 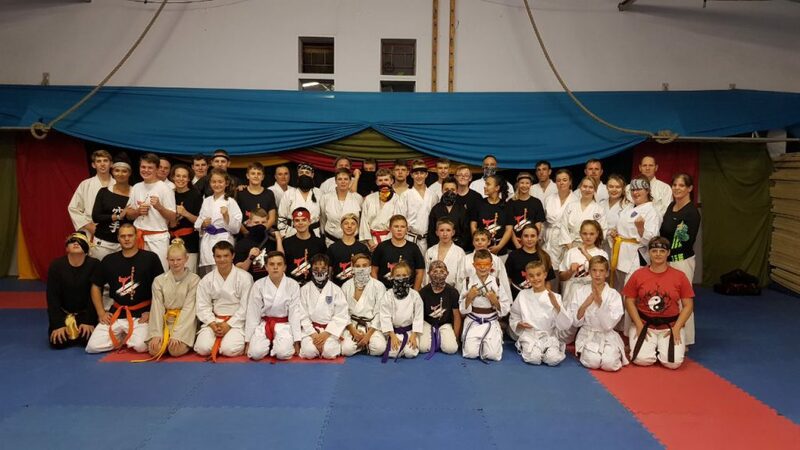 After intense and hard training preparing for the grading, you all arose from all your fears and came prepared with determination to earn your next belt. 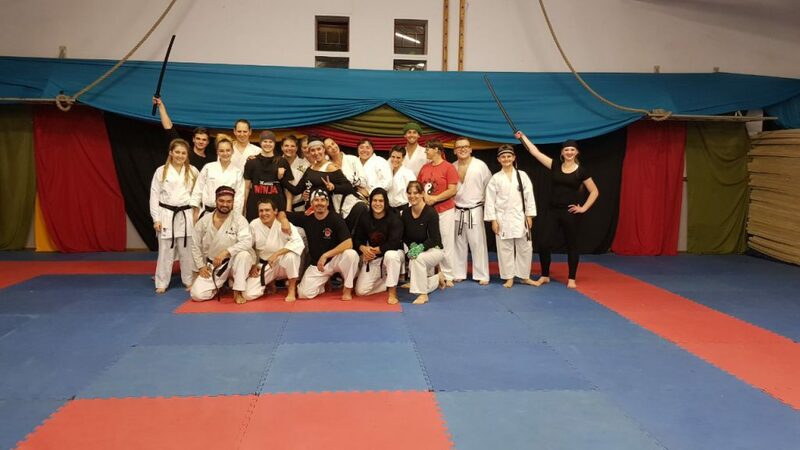 To all our white belts who graded for the first time; well done! You all came with the utmost karate etiquette and perseverance to overcome your uncertainty of what is expected. With goose bumps and awe we solute you all. Keep up the good work, always remember the basics of your karate and you will grow into a good karateka as you grade to higher belts. 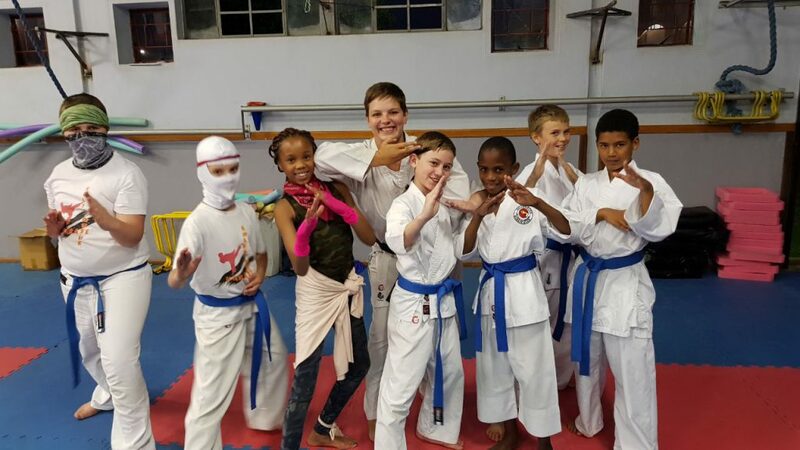 Our coloured belt groups also accomplished a higher standard in their grading and presented their karate skills with flying colours. Grading is a good measurement to improve yourself and to understand that karate basics; Kihon (basics), Kata (form) and Kumite (sparring) are the foundation of good karate in the future. 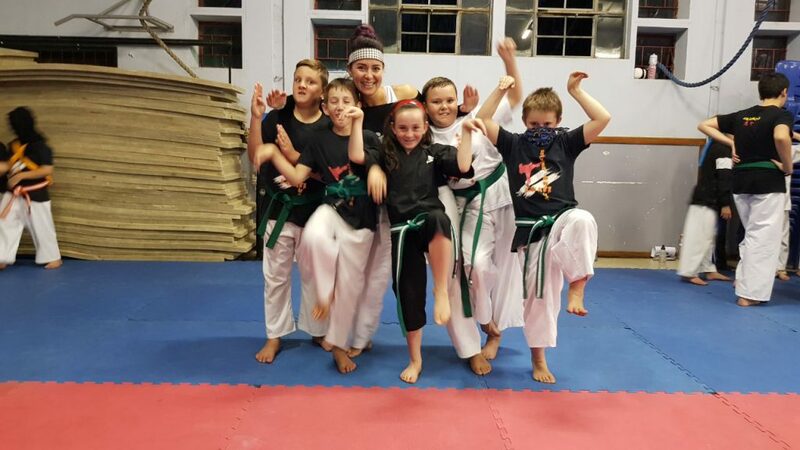 During grading you get measured of how you have developed in your current belt, and then be recognised for your progress, and the reward is to succeed to the next belt level. 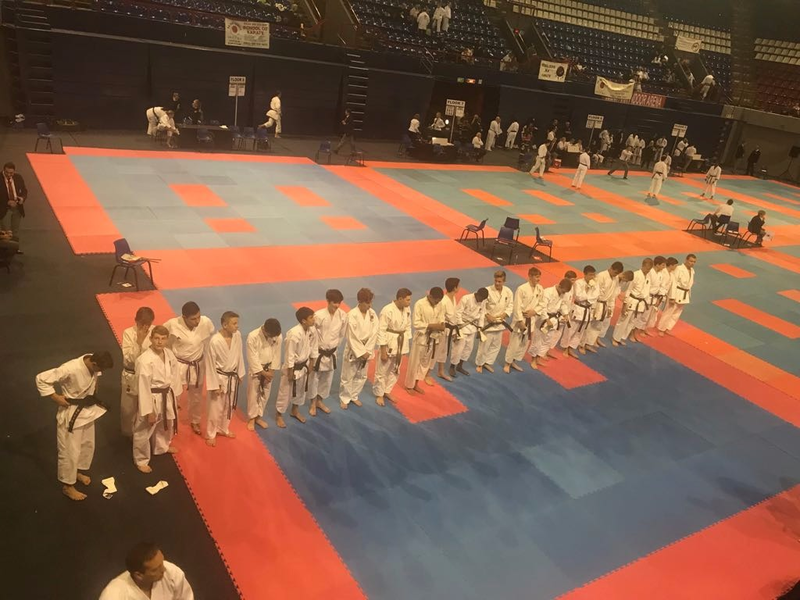 The higher belt groups, brown and up gradings are much more intense and on a different level as for the coloured belts. 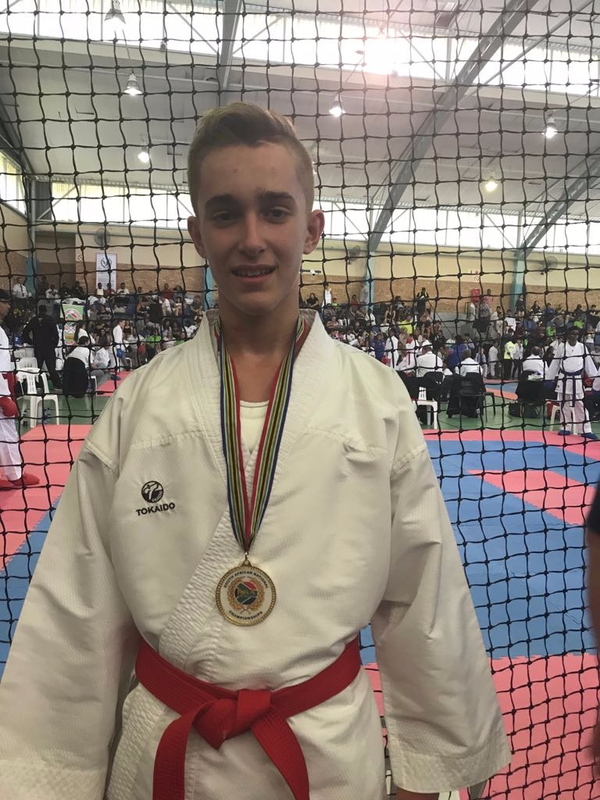 Endurance, competence, technique, fitness and perseverance are key to this level grading. Solis Ortus is immeasurably proud of the standard of our senior belt groups. You earned every stripe on your belt and deserved to be promoted to your next level. 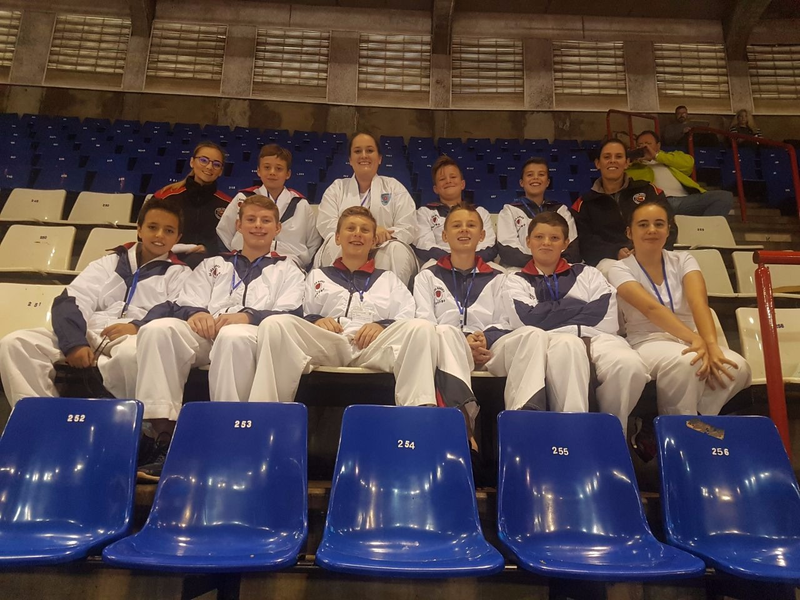 Solis Ortus is building a strong history in developing good karatekas for the future. This year Solis Ortus is celebrating a rich history of 40 years. 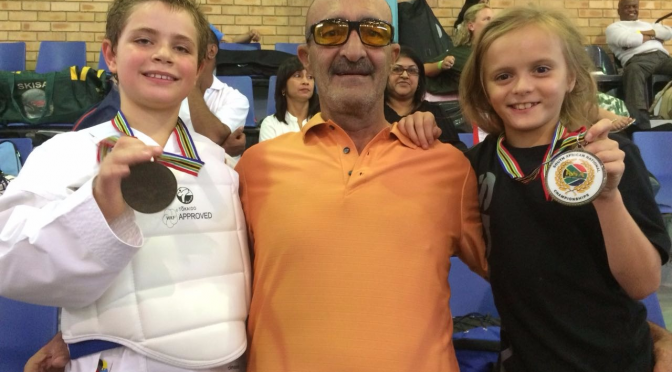 We have added to this history the first free fighting event in our Special needs division at SA JKA Nationals. 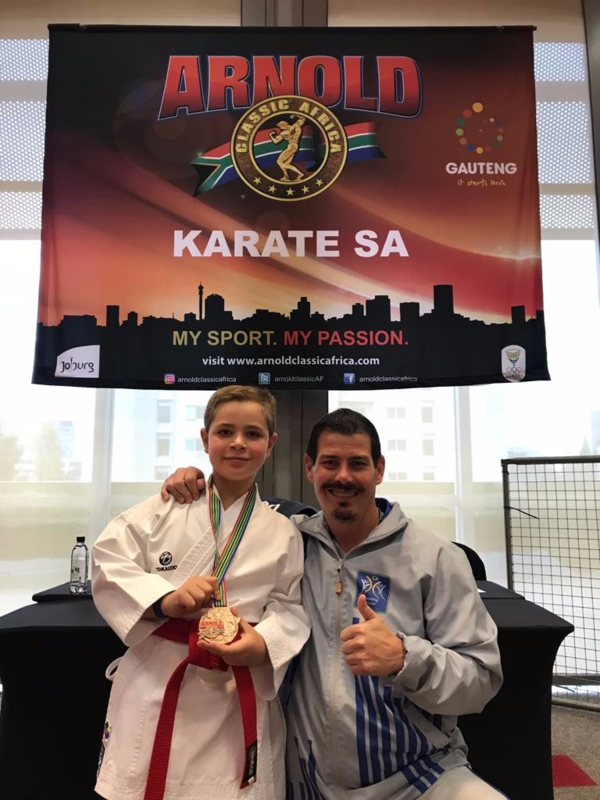 To top this achievement we have graded one of our special needs karatekas, James van Zyl, for the last time in the dojo to Junior Black. His next grading will be Shodan. James, we are extremely proud of you. 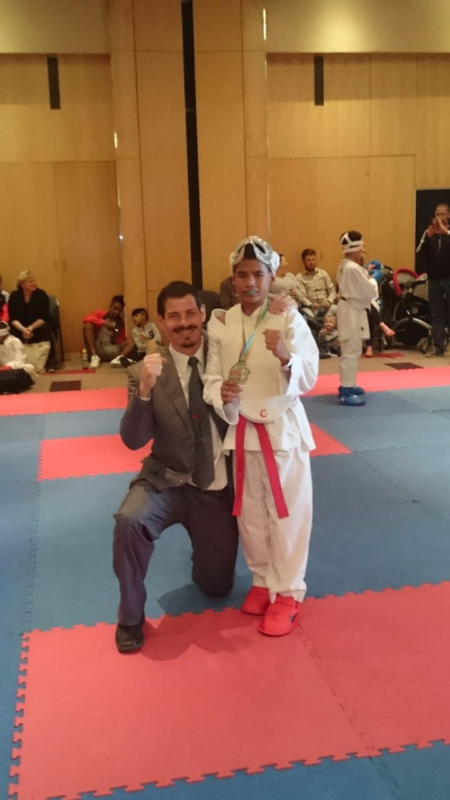 You have excelled in so many ways as a karateka, and achieved the highest ranking in Solis Ortus history. 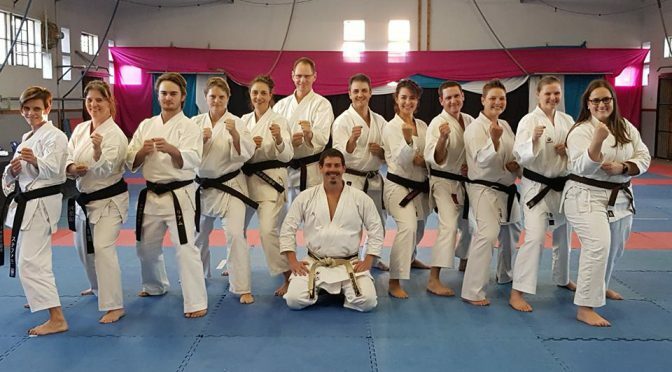 We wish you all the best and luck on your karate journey and are looking forward to celebrate with you your Shodan grading. As always, Sensei Eugene and his team of instructors and assistance were well prepared and on schedule with the grading program. 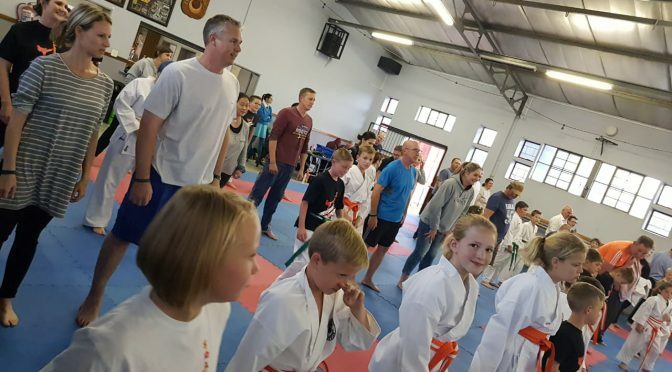 Thank you to all our parents for your support and to all our karatekas for your loyalty, etiquette and performance on grading day. Be proud, frame your achievements, not everyone has a karate belt. Never ever give up. The more we learn, the more I realize how much we have to learn. Remember karate is a journey, black belt is not the destination, it is the start. Karate builds our character, and with a strong character you can achieve anything in life. We cannot wait to see you all in your new belts! What a weekend. 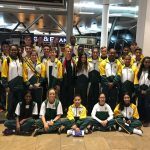 Solis Ortus competed at SA JKA Nationals in Johannesburg, and at the Africa Union Sport Council (AUSC) Region 5 karate championships in Gaborone, Botswana. 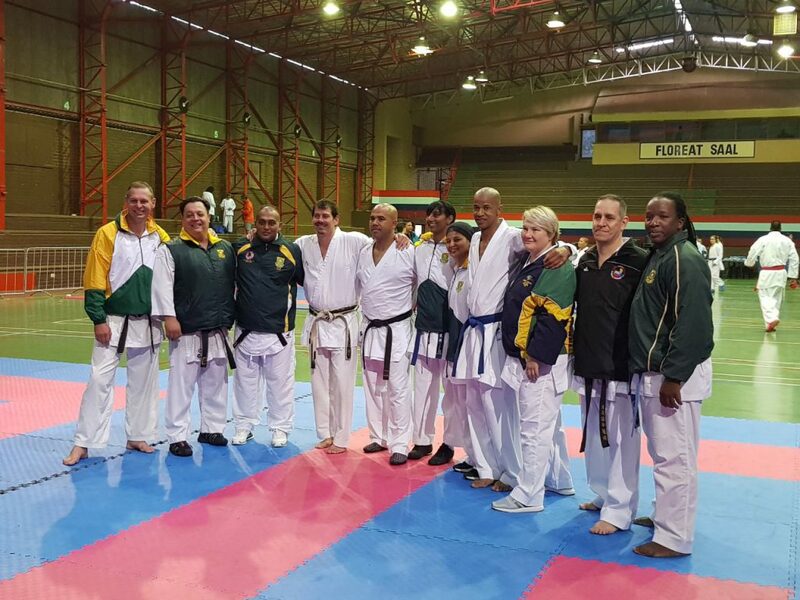 This year’s SA JKA Nationals competition, featuring karatekas from all the Provinces in South Africa, was held at the Ellis Park Indoor Events Arena on 25 – 26 May 2018. 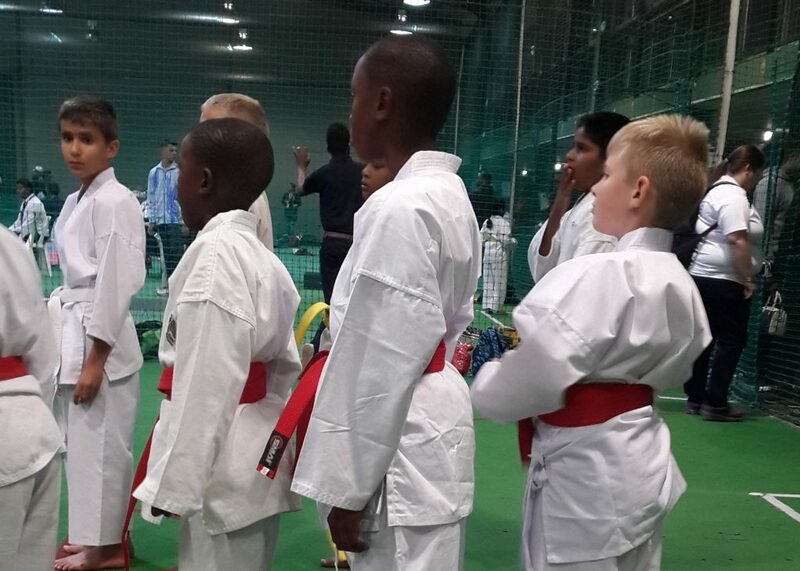 All our karate athletes prepared well over the past months, and showed up in their masses to achieve greatness. 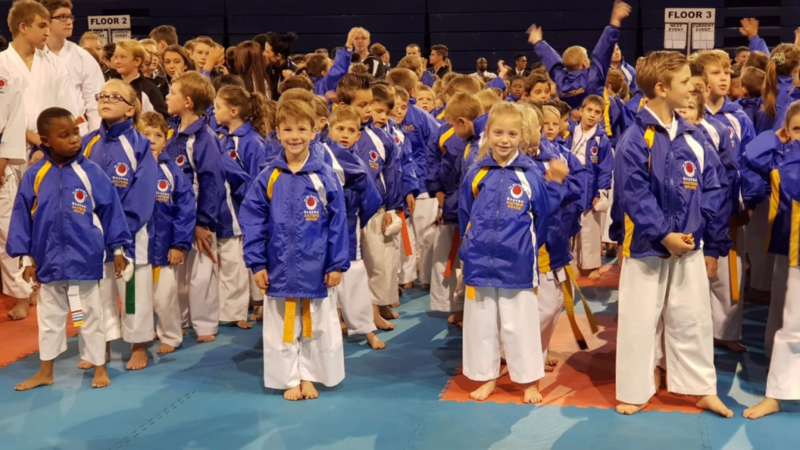 SA JKA Nationals is a huge event every year, but this year it was massive with plus minus 3500 competitors. The arena was vibrant with songs of the nation and provincial teams rivalling against the other in their numbers. The mornings were extremely early for our early birds attending meetings and to get ready before the masses arrive. 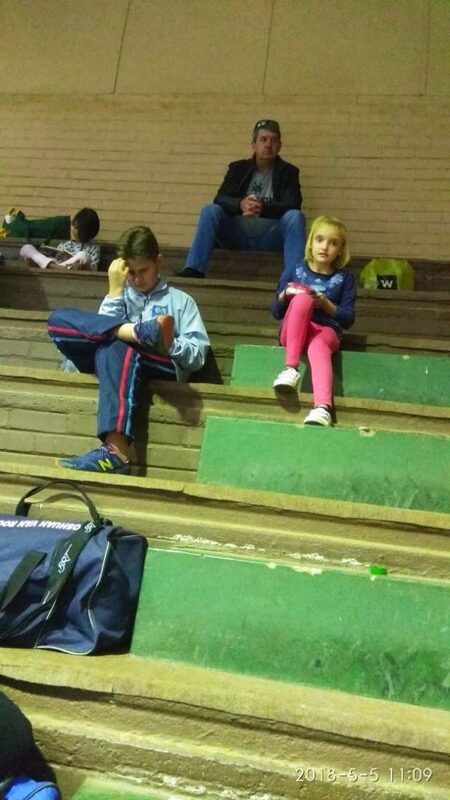 Gauteng was well organised with their team sitting ready in their categories on the arena. Expectations ran high for the day while watching the demonstration from our black belts from the Honbu, performing an immaculate Tekki Sandan, synchronized as one person. The kumite routine was coordinated to show the stages of a black belt. We all stood in awe and with goose bumps all over. 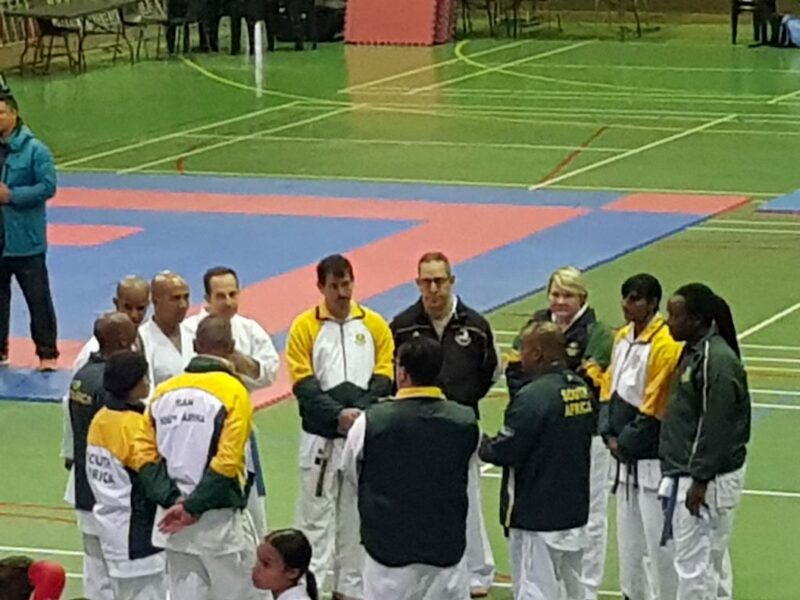 We as Solis Ortus karatekas, representing our provincial team Gauteng, are overwhelmed with excitement, enthusiasm, nerves and an expectancy to achieve our National colours and to qualify for the Africa Cup in September. For some of us, this will be the first time to represent our country on an International level. As always, our club was well represented as coaches, referees, judges and table officials at this prestigious event. Solis Ortus entered into 153 events where some of our students qualified for their National colours in both kata and kumite, and others, one of the two. 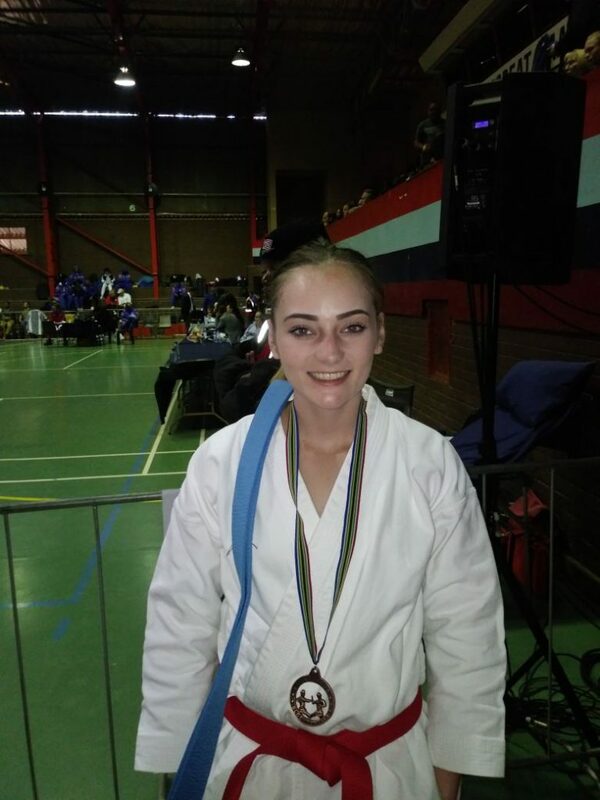 On Friday our Novice team, White to Red belts, competed in their divisions where most of our karatekas medalled and achieved their National colours. Medal or not, you are a winner! You worked hard, walked the extra mile, by training week after week and came prepared for the battle. 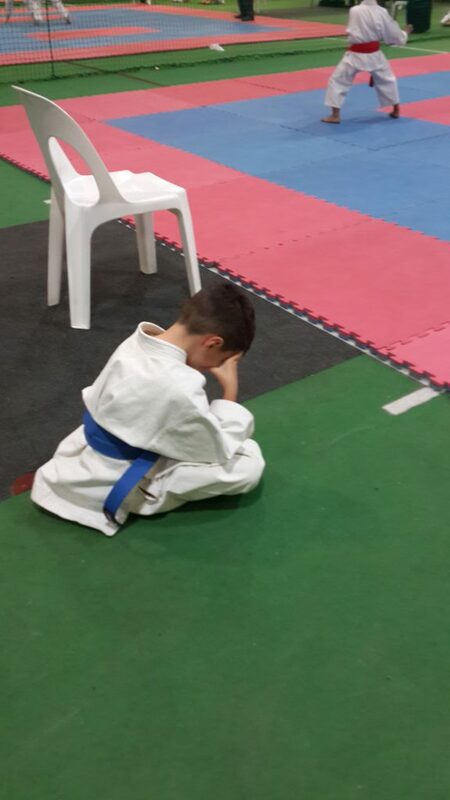 You showed your karate spirit on the floor and still persevered. That makes you a WINNER. Always remember what defines a winner. 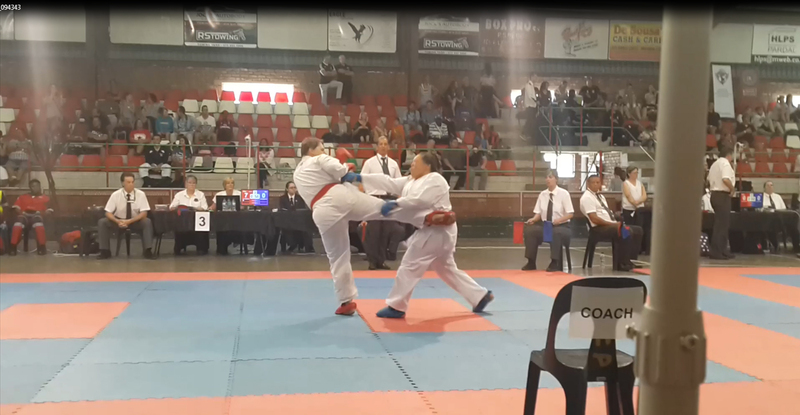 For the first time in the history of SA JKA Nationals, our Special Needs division announced a free fighting division. With pride Solis Ortus also made history on the day as the only 2 karatekas in that division, was from our dojo. What a fight guys….well done! Click on the link to watch the fight. 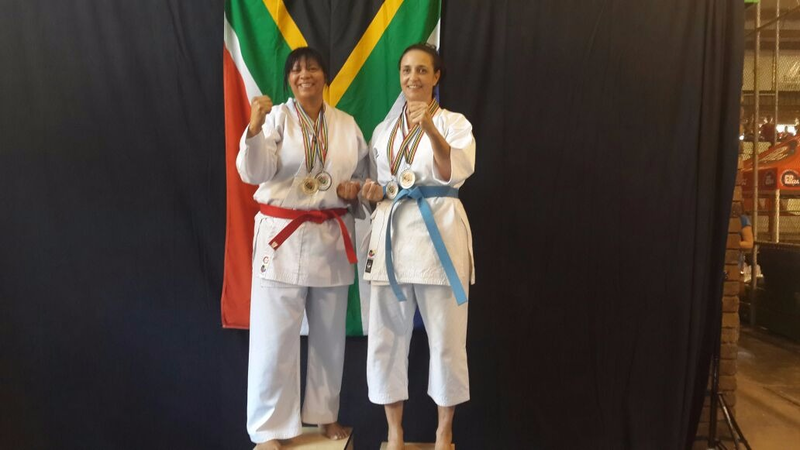 On Saturday our Elite team competed to be selected into the Africa Cup in September. This category was intensely huge and the competition extremely competitive. Most categories contained 3-5 different belt levels in one group for the selection. Some categories took hours to finish; and yet, we all waited with determination and good spirit our turn. Solis Ortus did extremely well and most of our students got selected to represent South Africa in the Africa Cup. Congratulations to those who got selected. To all our medallists, well done and well deserved. Some of your categories exceeded 20 competitors and more. Yet, you prevailed and accomplished your dream to become a winner. 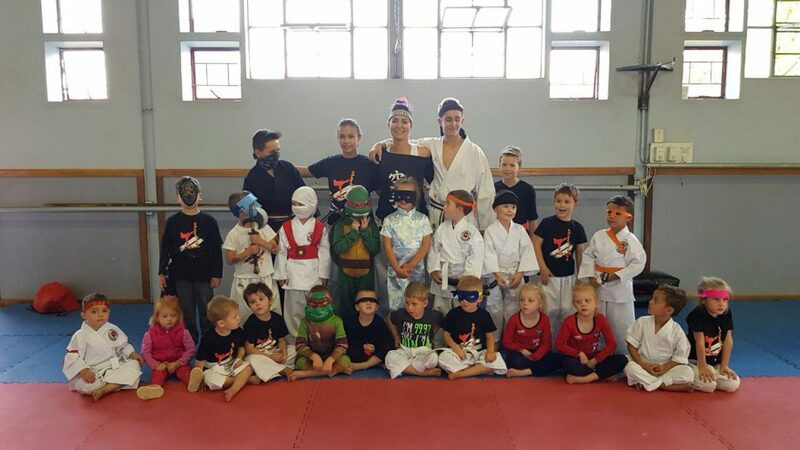 Ditto sensei Sandy; quote un-quote: “Our dearest students, how awesome are you all. 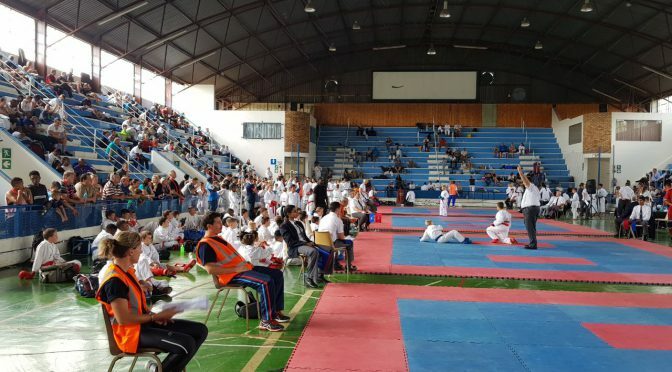 You are all champions because you showed up for extra classes, you are all champions because you entered the arena with fear, nerves and excitement and you are all champions because you stepped onto the tatami and you did YOUR best. Congratulations for making us all tremendously proud!!!!! But first, we wish all our students the best of luck for grading on Saturday, 2nd June 2018. You worked hard to receive your next belt level. Stay focussed and do your best. To all our students who are writing exams, best of luck for your exams. Stay focused, prepare in advance, sleep well, practice and stay healthy. After all is done, rest well and get ready to start preparing for the Africa Cup in September. One way, JKA! JKA, one way! 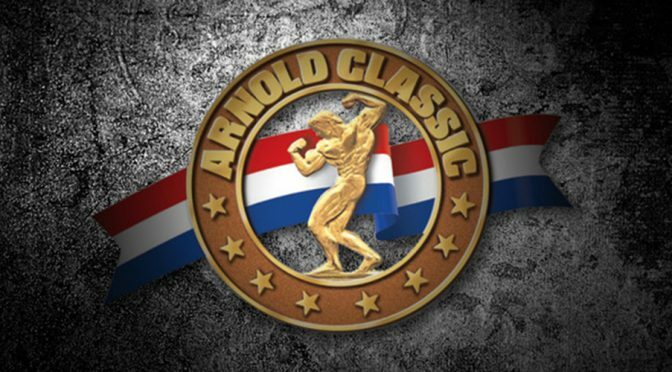 The Arnold Classic sport and fitness extravaganza returns to South Africa for the third time and it promises to be an even more spectacular expression of the vision of its co-founder, Arnold Schwarzenegger. It is an opportunity to participate, spectate or compete, with over 50 sports and their organising federations showcasing their top talent and creating opportunity for public participation across three energy-filled days; from Friday, 18 May to Sunday 20 May 2018 at the Sandton Convention Centre in Johannesburg. Interestingly Sandton is known as the wealthiest square mile in Africa. The Sandton Convention Centre is the leading, most esteemed convention centre and exhibition resource in South Africa. With 12 floors and over 22 000 square metres of space available, the Sandton Convention Centre has a gigantic capacity to be the supreme hosting place for such a respected event as the ACA. 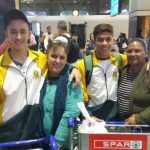 In a cold Johannesburg, Solis Ortus came prepared with our KSA athletes to participate in the prestigious Arnold Classic Sports Festival 2018. 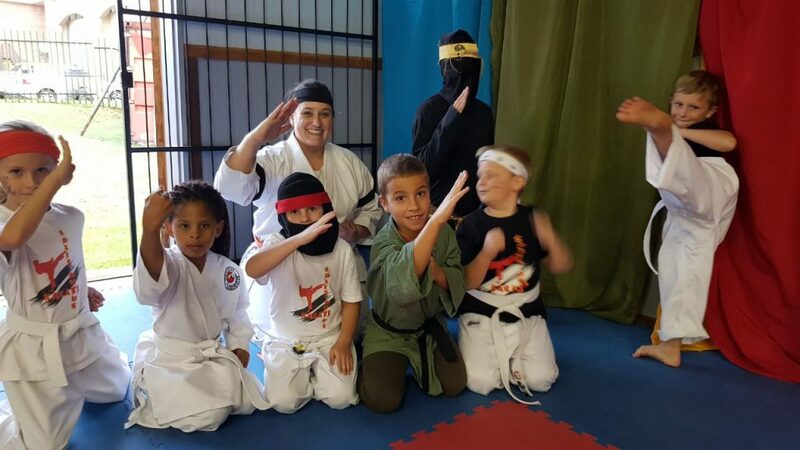 Our karatekas are passionate about their karate and without knowing it, are actually the leaders in creating a karate platform that can have a great influence in our country and the world to be a better place. 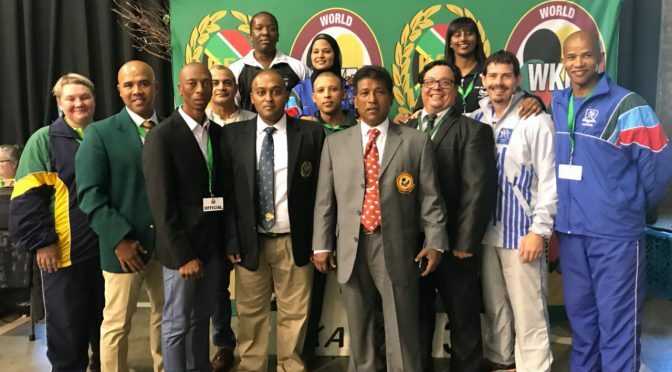 Although karate is a global sport, over 200 countries, and affiliated to World Karate Federation (WKF); it finally is elevated to OLYMPIC status – Olympic Games Tokyo 2020 and the Youth Olympic Games Buenos Aires 2018. What an honour and privilege to be part of such an opportunity. On Friday our Solis Ortus champs weighed-in for their kumite divisions on Saturday. 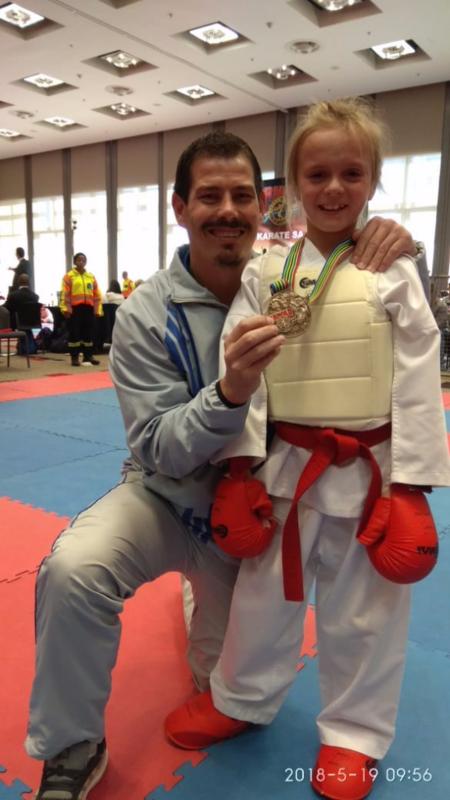 On Friday Solis Ortus received 2 bronze medals in the kata divisions. 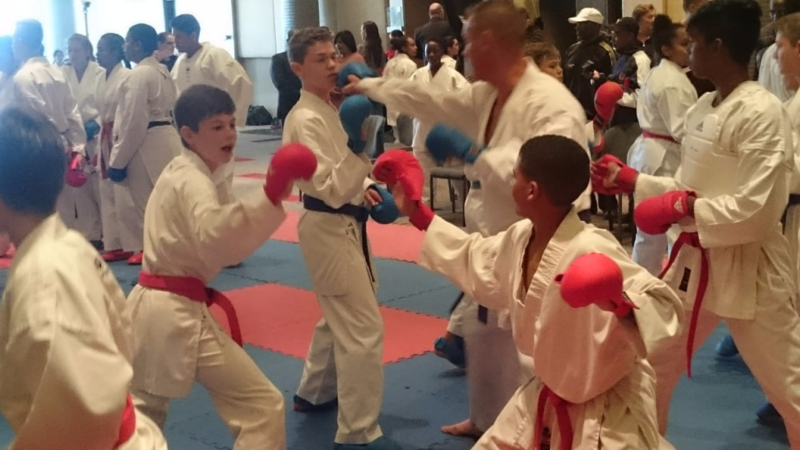 Most of our karatekas competed on Saturday. 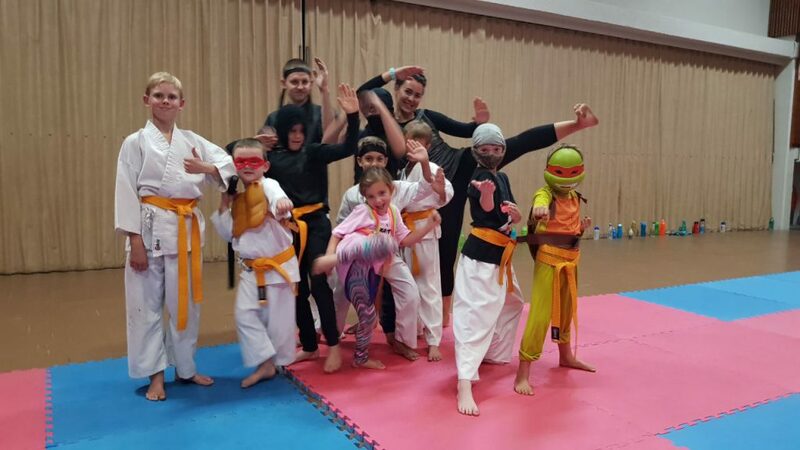 “The kumite divisions were lethal, fast and furious”, as one parent described the event. Solis Ortus prevailed and achieved 4 medals; 1 gold, 2 silver and 1 bronze. 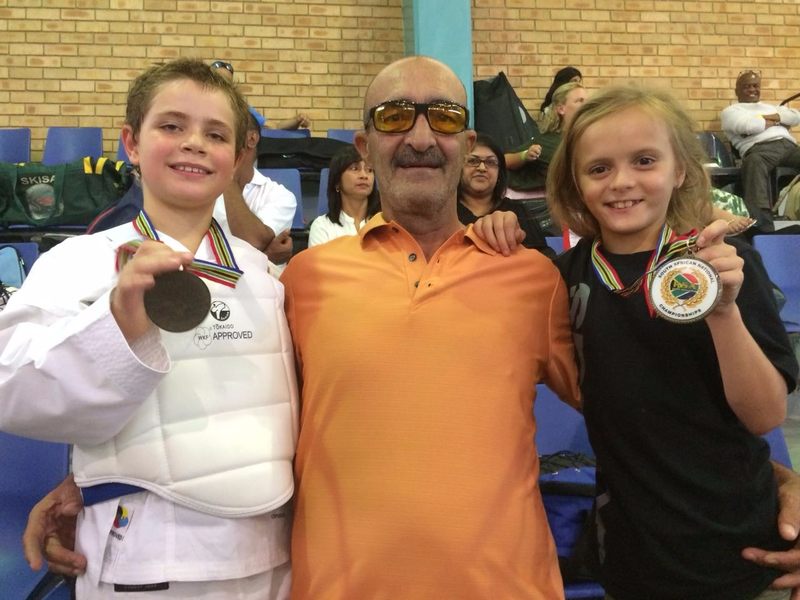 Congratulations to two Solis Ortus karatekas who qualified for the finals on Sunday. Sunday started off with a training session where the top four KSA athletes and international athletes trained together. 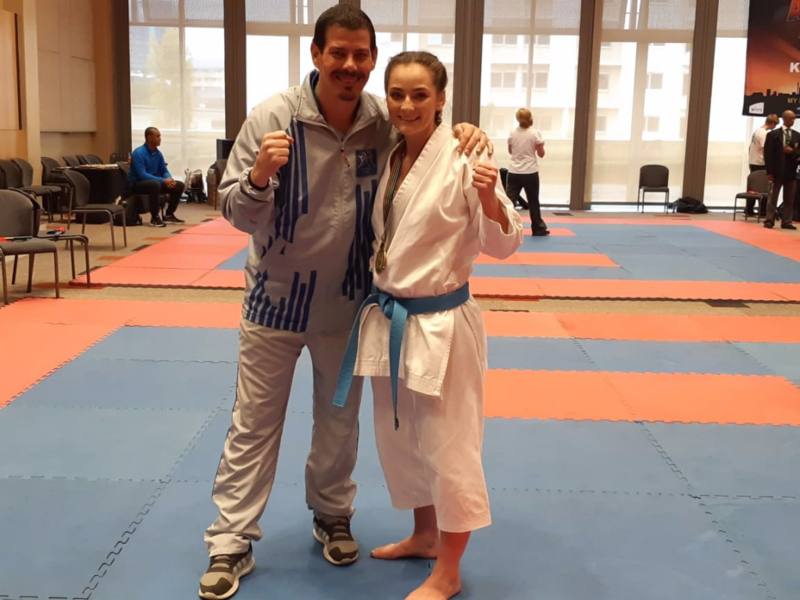 With the help of our coaches, sensei Eugene and other top coaches trained with the team and represented South Africa on an International level. 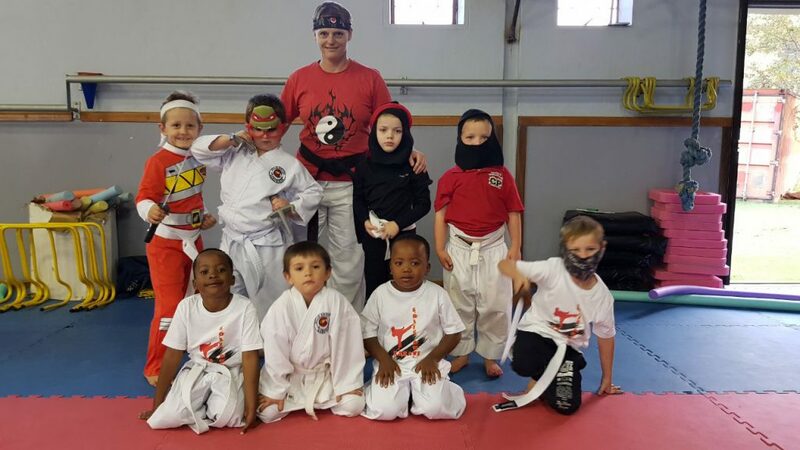 Solis Ortus is proud of sensei Eugene and wish him all the success in his karate endeavours. After a long, hard and competitive weekend, we can celebrate with our 7 champs a total of 6 medals. Congratulations to all our karatekas. Solis Ortus is extremely proud and wishing you all a prosperous karate journey. You all worked so hard for this moment, embrace it, enjoy it and learn from tournament to tournament. Improve yourself to become the best of the best. This prestigious event is the National League Championship Event for 2018, primarily to maintain KSA National Ranking, and to assist in selecting the National Team. 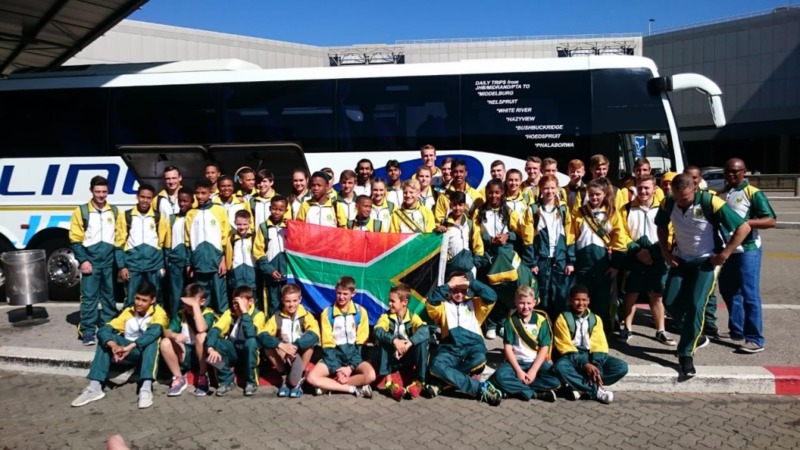 In a cold Bloemfontein, at the Tempe Indoor Sports Hall, Solis Ortus arrived with a positive winning spirit to face their rivals and to achieve their place in the National Team. What an honour and privilege to be able to represent your beautiful country on international level. Competition was extremely tough and all came prepared to qualify. Our competitor’s spirit was with expectation and went in with their all. Solis Ortus did extremely well and received 1 gold, 1 silver, 3 bronze and 2 fifth places. Well done to all our competitors. You train hard and we are extremely proud of you all. 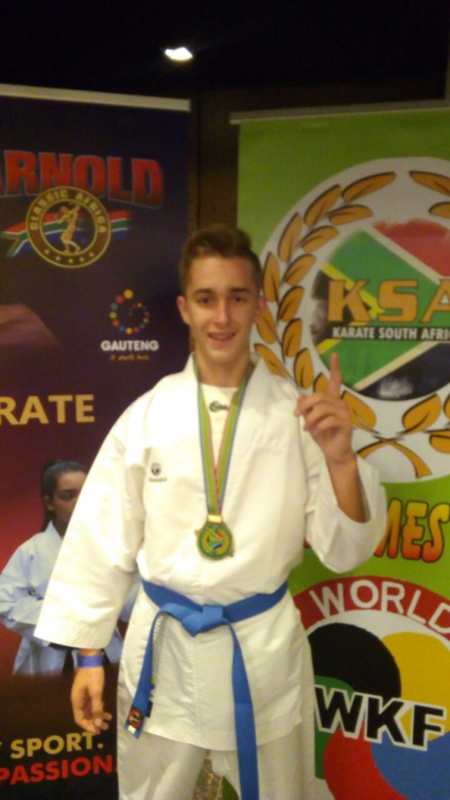 Sensei Eugene, our National coach selected for KSA, worked hard and came home with laryngitis. 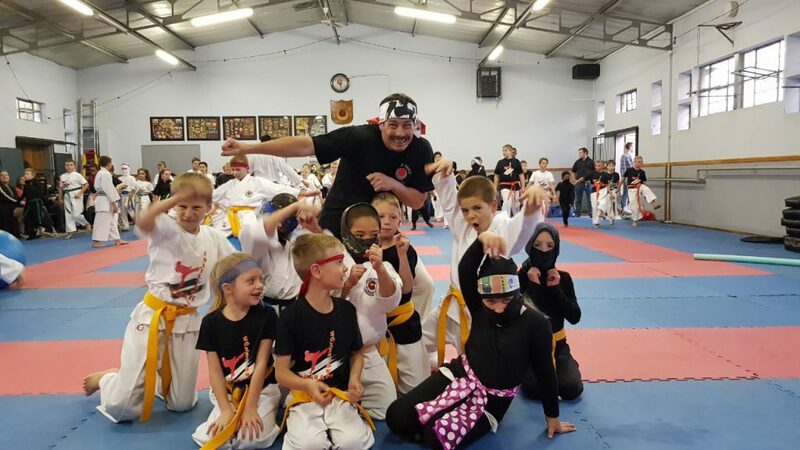 Thank you sensei Eugene for all your help and dedication to help our karatekas succeed as competitive individuals. We as parents appreciate your effort and dedication. 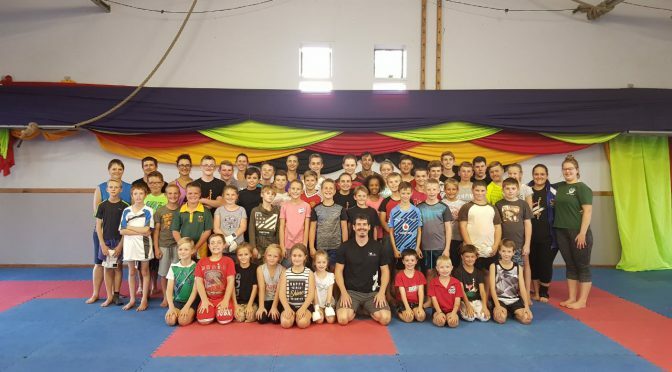 To complete a very successful weekend, South Africa’s top 4 karatekas (12 years and above) had the honour to train with the National Coaches on Sunday morning, before departing to their destinations. The training camp was of utmost value to our new champs. What type of fighter are you? How will you excel against your opponents? 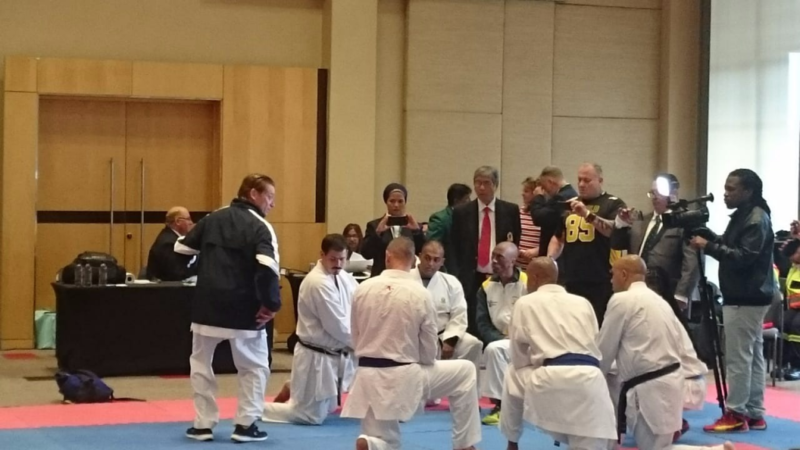 The President of KSA, Sonny Pillay Hanshi was very excited about the Championship and stated, “I am absolutely delighted at the huge turnout of our karate youth from throughout the Republic, moreover the high standard of karate on display by the participants throughout the weekend certainly augurs well for the future of KSA“. 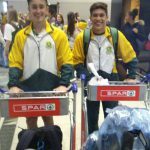 The success of the just concluded Nationals predicts excitement for the ARNOLD CLASSIC SPORTS FESTIVAL 18-20 MAY 2018 at the Sandton Convention Centre, as the TEAM SELECTION will be done afterwards. Good luck to all our KSA champs, you are all winners! Be always prepared, stay prepared and excel in your karate journey! Solis Ortus was a busy dojo this weekend. 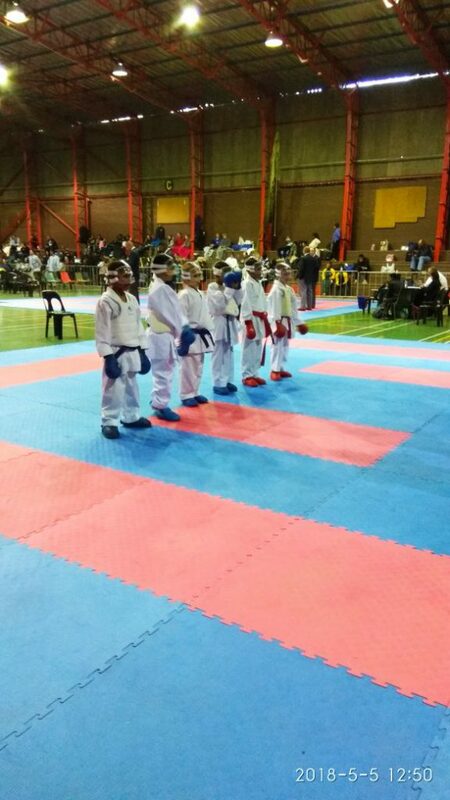 Five of our karatekas competed at the KSA Junior and Elite Tournament held at the Tongaat Indoor Sport Centre in Kwa-Zulu Natal. The weather was as cold and wet as in Gauteng. 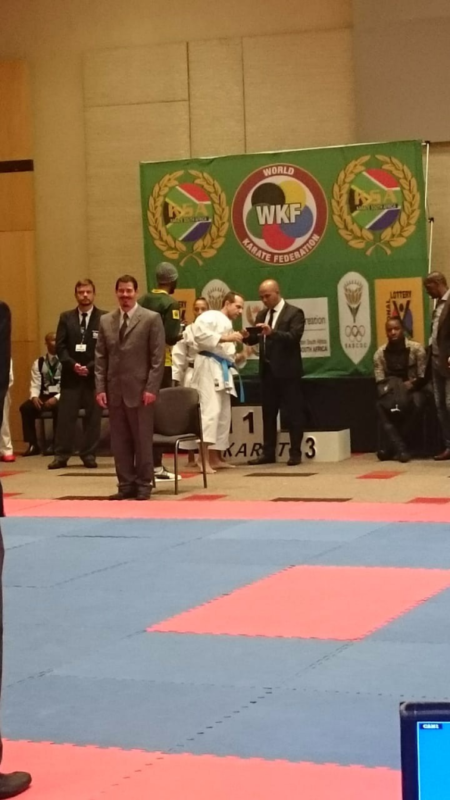 We are proud to have had Sensei Eugene there as Head Coach for our Gauteng Team. 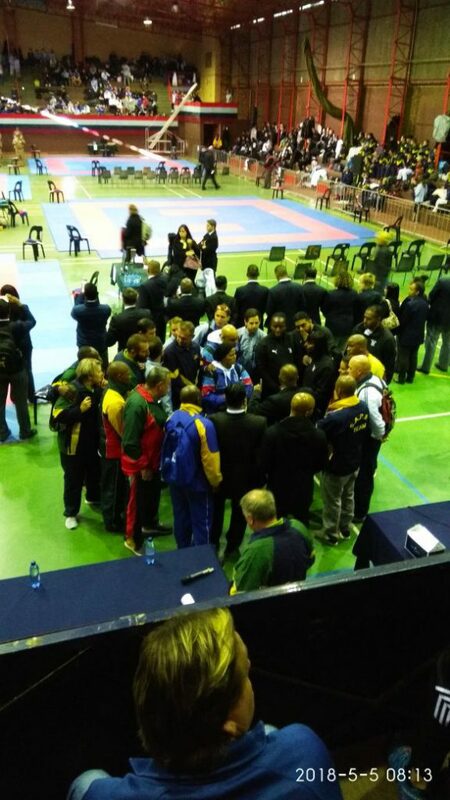 Sensei Eugene flew to Durban on Thursday morning to attend a Coach and Referee briefing session. 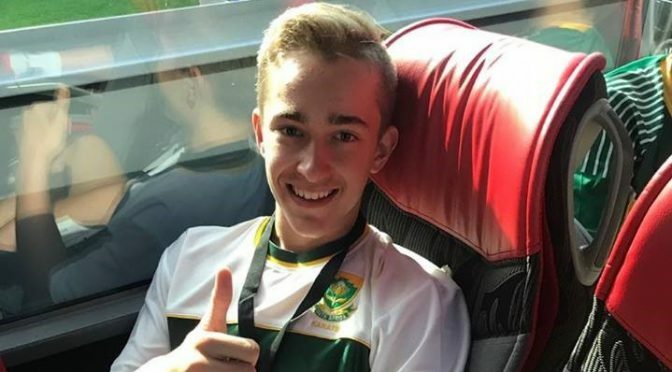 With pride he is one of four coaches nominated as National Senior coach for the Protea Team, representing South Africa in Zone 5 and other international events. The competition was tough and of a very high standard. Many who used to medal first or second had to bow down for third and fourth place. Weigh-in was conducted on Thursday and the Tournament commenced on Friday morning until late afternoon. 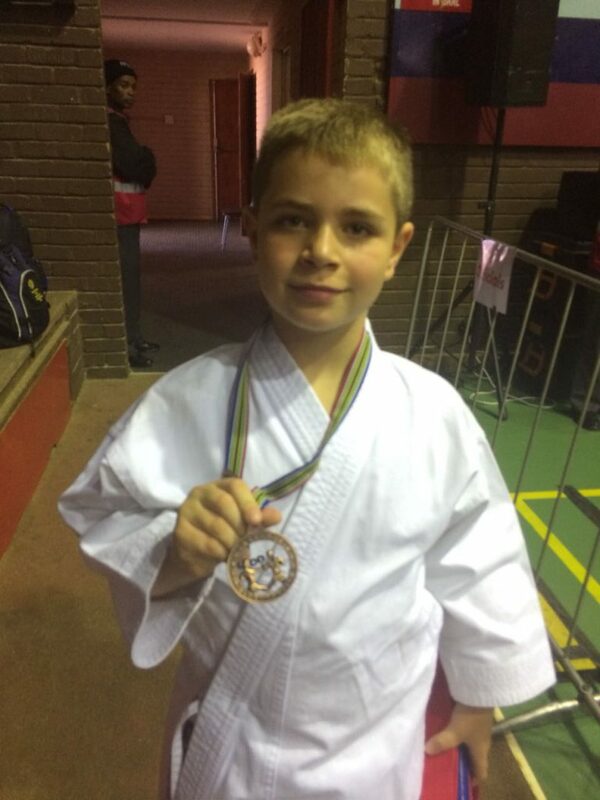 Both our kumite boys got bronze medals on Friday. On Saturday the other 3 boys participated in their divisions and Solis Ortus received a Gold medal. Unfortunately the other 2 boys fell out and did not medal. Keep on believing in yourselves; never ever quit, stay focussed and be diligent in your karate, and you will reap the results. Will Durant wrote in his book of philosophy: “Excellence is an art won by training and habituation: we do not act rightly because we have virtue or excellence, but rather have these because we have acted rightly; these virtues are formed in man by doing his actions”. To make it simpler, you develop a talent for the things you repeatedly practice. The same goes for the reverse: problems, failure, and other issues, they can become habits too. Therefore, choose your habits wisely, or you may achieve excellence in something that doesn’t matter to you. Well done Solis Ortus, we are extremely proud of each one of you. 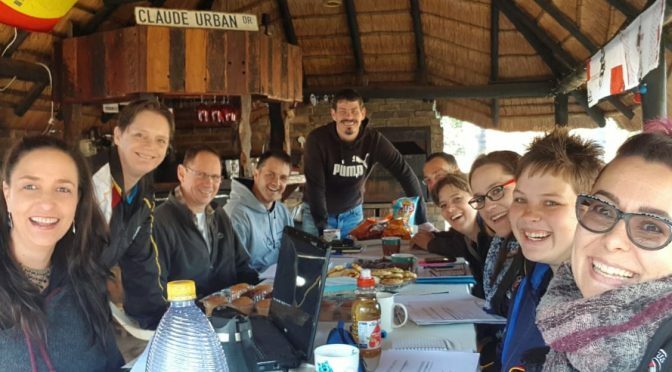 This weekend was a huge success FOR our competitors who competed at the Standard Bank arena to qualify for Nationals in May. On Friday we were 1200 competitors in the Novice divisions and 600 in the Elite divisions on Saturday. What an honour and privilege it is to be part of such a huge organisation. Our journey to the City of Gold was through heavy rains, streams of water and mist. 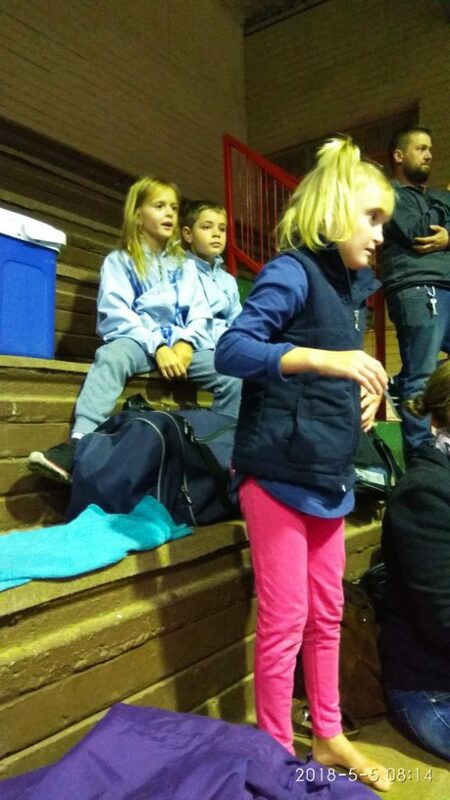 Our early birds arrived safely in a cold Johannesburg to face our fate at the JKA Gauteng trials. We would like to thank JKA Management and the organisers for a well-planned and successful tournament. There is only one way, JKA! JKA one way! 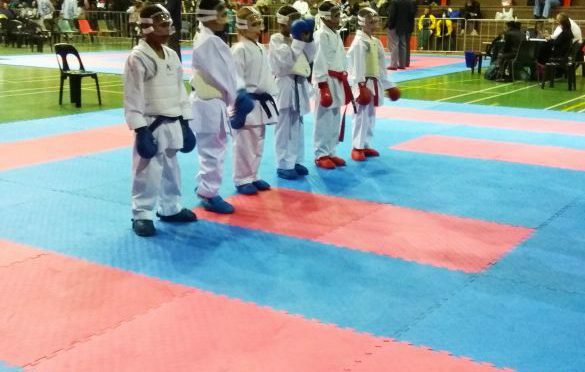 Solis Ortus confirmed 69 competitors into the JKA Gauteng Trials, who bravely faced every round. You all have prepared for this moment, you worked hard and with determination you have aroused your greatest fears and uncertainty. Well done to you all! Divisions were huge and the competition was of high standard. Always remember to never ever give up. Keep on working for what you want to achieve. Stay positive and work harder but smarter. The harder you work the luckier you get. Always remember you are only defeated when you did not have the guts to put your feet on the tatamis. We solute you because you were all brave enough to show up for the battle. That makes you a WINNER! Winners never give up! Solis Ortus entered 49 competitors into the Novice division, and 20 competitors in the Junior, Elite and Veteran divisions. 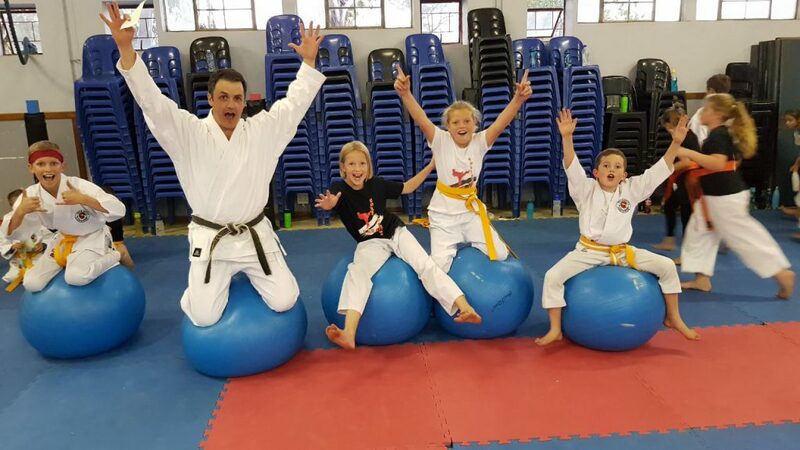 Sensei Eugene is extremely proud to announce that all 69 competitors achieved their Gauteng colours and will represent their Province at Nationals in May. Solis Ortus achieved over 75 medals over the 2 days. Well done Solis Ortus, we as coaches are immensely proud of each and every competitor showing character, sportsmanship and etiquette. It is an honour to be part of the Solis Ortus team. Thank you Sensei Eugene and our Team Managers and coaches for helping our karatekas with such care and pride. 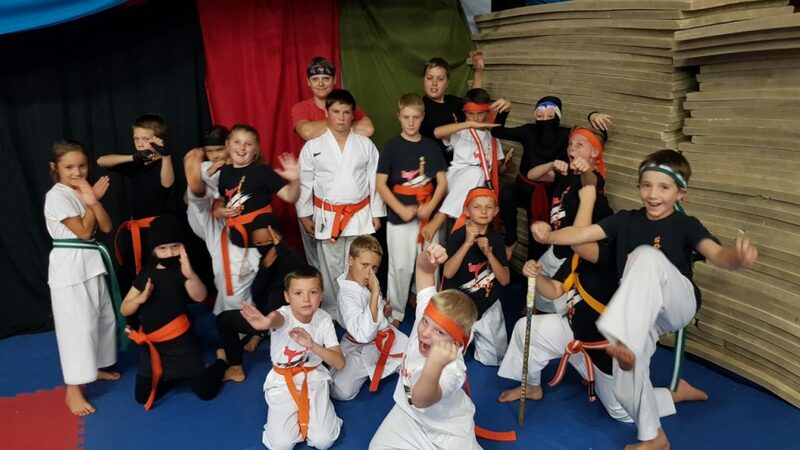 Solis Ortus karate club – ROCKS! 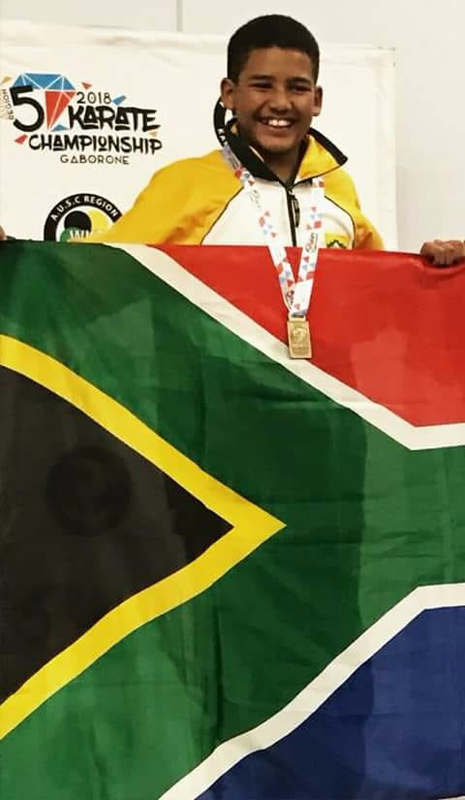 Congratulations to Sensei Eugene who has been appointed as a KSA coach, amongst 12 other coaches, to represent the South African team for international duties at various karate tournaments around the globe during 2018. This announcement was made on the 2nd day of the KSA Senior Nationals Tournament, 3 March 2018. We, as Solis Ortus students are immensely proud of you Sensei and wishing you good luck to fulfil your international duties successfully. 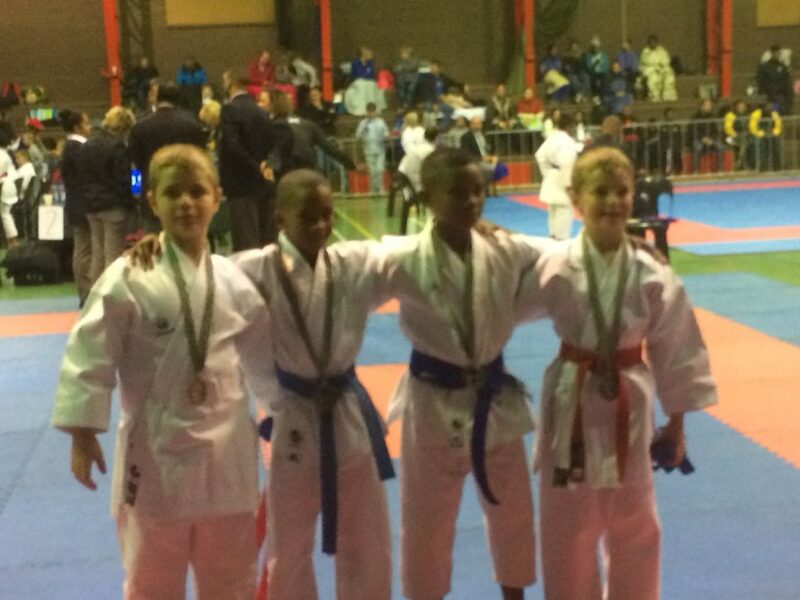 Congratulations to all our champions in the making for achieving their Gauteng colours and qualified for KSA in Durban. 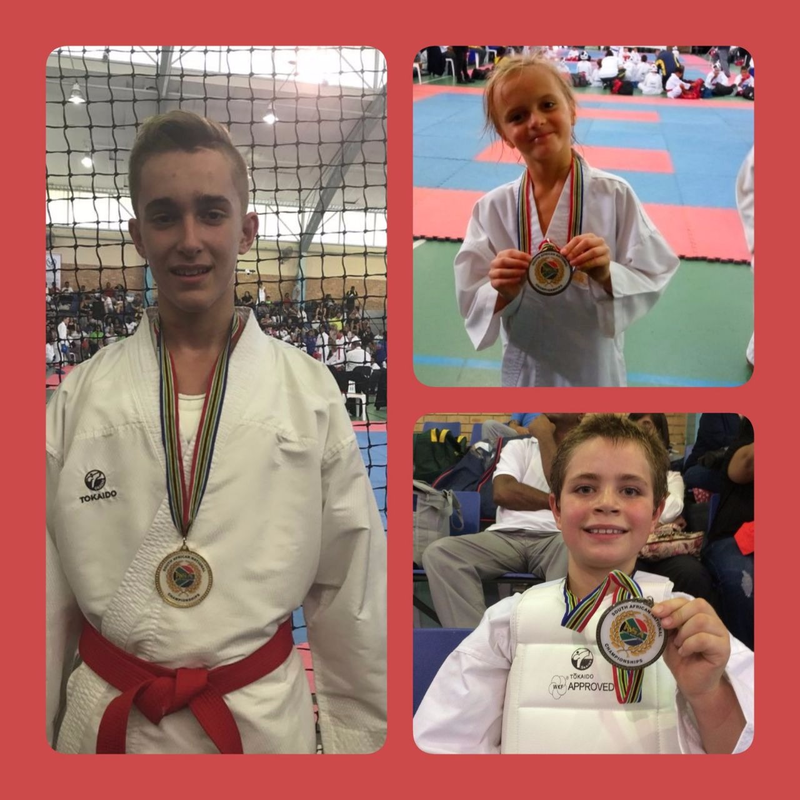 Our juniors; GKF Children/Cadets and Junior Champs, competed 24 February and exceled in their quest to be the best karate kid they can be. 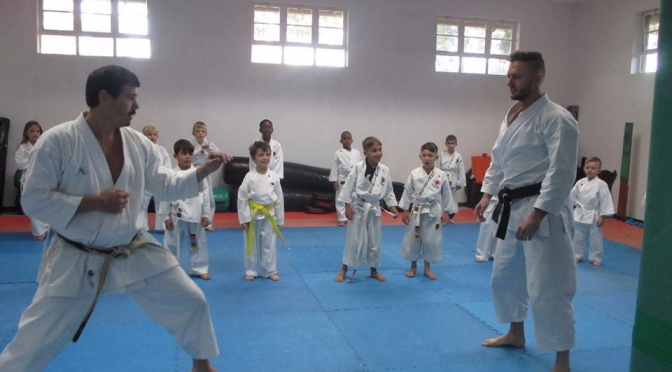 Solis Ortus has extremely dedicated young karatekas that work very hard to achieve their goals. Sensei is particularly proud of the juniors and wishing them all to never give up and always explore and reach their dreams. 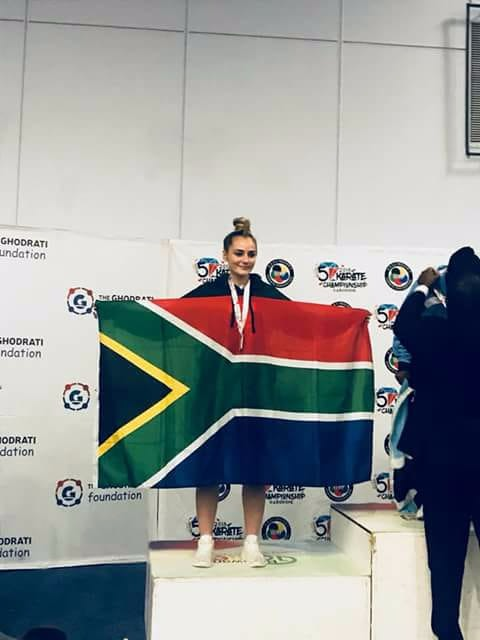 Solis Ortus is proud to announce that our juniors received 1 gold, 2 silver and 3 bronze medals; whereas 6 of our karatekas achieved their Gauteng colours and succeeded to participate in the KSA championships’ 23-24 March in Durban. Well done to everyone. 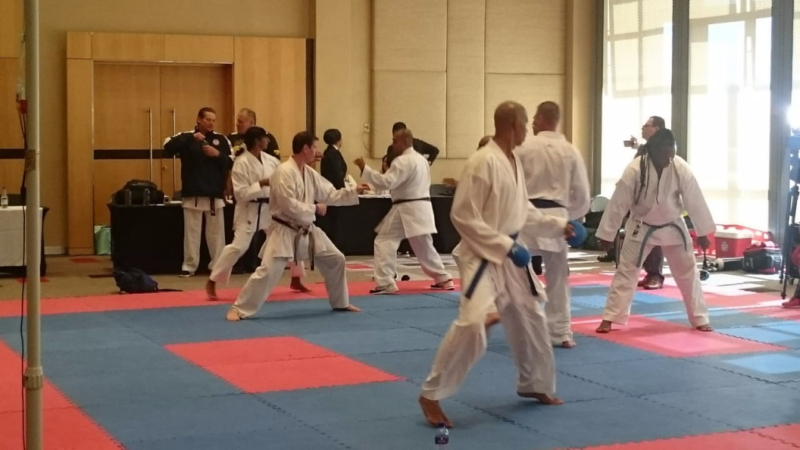 This weekend, five Solis Ortus karatekas participated in the KSA U21/Seniors/Veterans divisions; kata and kumite. This is so true and it proved to be exactly that, what helped us to succeed this weekend. Some of the divisions were large with 5 to 12, 15 competitors. The competition was hard, the standard was high and all the sweat, blood and tears were flowing this weekend. 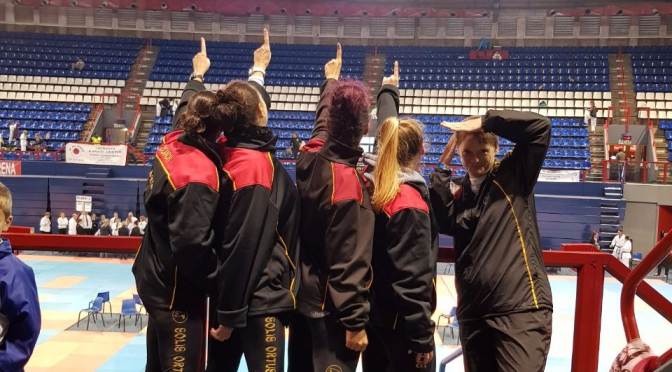 Solis Ortus’ senior competitors had tough, hard and determined opposition and above all that demonstrated their dedication and persevered with honour. 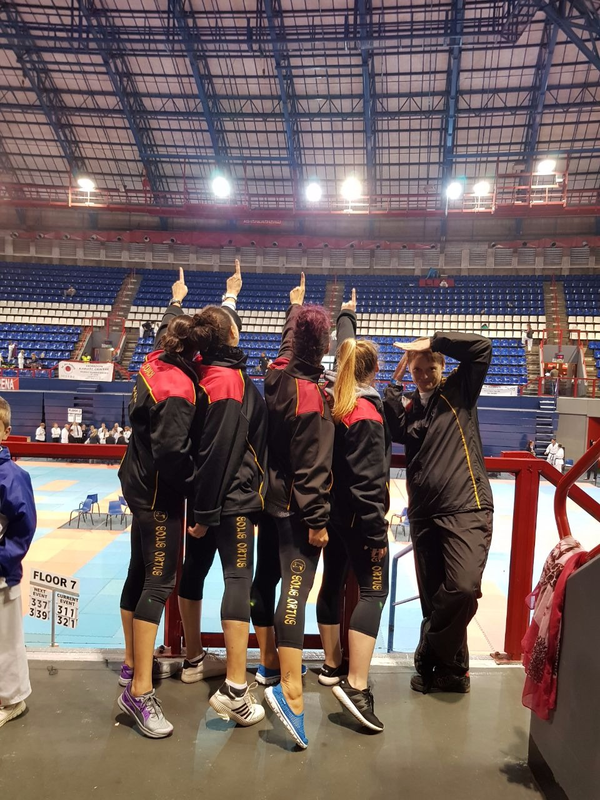 From the five competitors our seniors brought home 1 gold, 3 silver and 2 bronze medals, which means all five seniors achieved their Gauteng colours and succeeded to participate at the KSA championships 22-23 June in the KSA Elite & SA Open Champs, Durban. 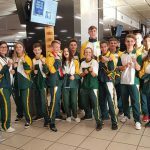 In total Solis Ortus is privileged and honoured to announce that from 17 competitors, 10 karatekas achieved their Gauteng colours and in total brought home 12 medals overall (2 gold, 5 silver and 5 bronze). 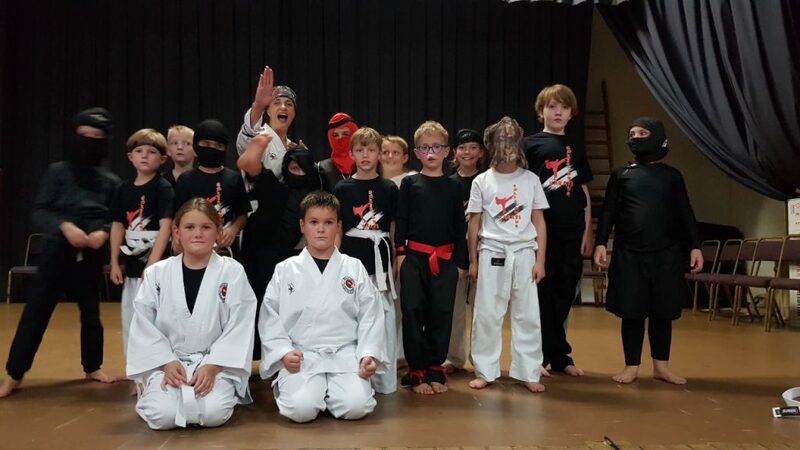 OSS-some, Solis Ortus is a proud karate club! Well deserved to you all.